There once was an underdog chestnut colt that ran in a prestigious stakes race in Ireland and won despite 100-to-1 odds. The horse is immortalized on the label of the single-malt whiskey that bears its name, The Tyrconnell, and a doppelgänger stars in a mini-movie for the heritage brand that lays a lilting Irish brogue over lovely images of the animal in motion. The Tyrconnell, launched in 1876 as a celebration of the winning thoroughbred and now owned by Beam Suntory, is one of Ireland’s oldest whiskey brands. The digital short, directed by cinematographer Josh Goleman, known for music videos with the Black Keys and Jay Z, is dubbed “Brave or Else,” and anchors a holiday marketing push that also includes print ads, a redesigned website and point-of-sale materials. Locals pooled together and saved the distillery, which shuttered in the ’50s, “because we would never let that tower be reduced to a monument,” the ad says. Kilbeggan Distilling Co. is part of a growing scene in Ireland, where distilleries are popping up across the country, bringing the expected number to about 30 over the next several years, up from just a handful. 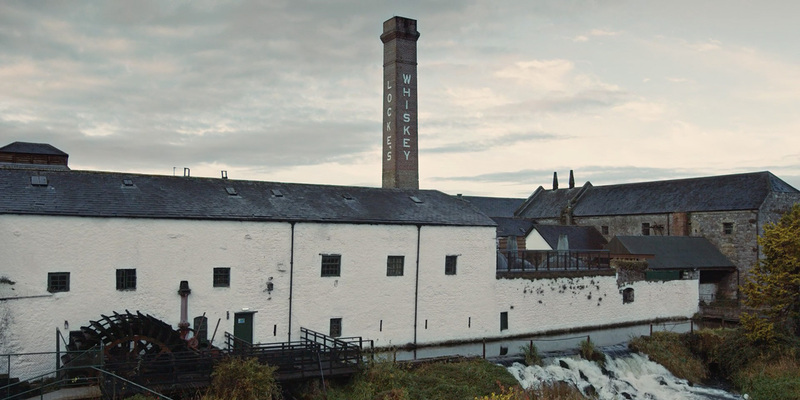 Influencers and distributors got a sneak peek at the 60-second ads during the summer, but the sister brands are expanding their push to take advantage of the surge in interest in Irish whiskey, especially in the trend-conscious U.S.